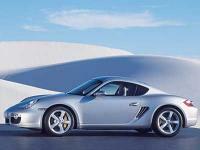 The 3.2L (2005 & 2006 Boxster S only) can have the IMS issue so the 2.7L is more reliable in that matter. Hrm, I see. Well if anyone wants to buy my PIWIS to code their car themselves that is an option. Any dealership with a PIWIS can disable the throax airbag. Are they saying they refuse to or that they do not know how? Original DME and immobilizer or did you swap those from the other engine? Perhaps replace the sensors that supplies the signal to the instrument cluster? That or issue a "reprogram" of the cluster from inside the PIWIS, you just need to have all the car details. Sent PM, I have a 996TT wing pump for sale. If anyone is interested, I just spotted one of these kits attached to a 996 3.4L on eBay. Could be a nice setup for 986. I think that is normal for stock rear to not have the "spring". I remember putting the stock "spring" around the stainless lines I bought but none on the rear. Perhaps they updated the part for rears? There is a metal wire that is behind the tail light you can use to pop the trunk. What is the latest USA maps? You can find articles that outline how to disable the TPMS. Whatever is in sunscreen seems to greatly accelerate the wear. So couple that with hot car and they turn to crap. Just replace them. At leats in the 996, the final microswitch is often in the latch assembly. There is a piece of plastic that goes onto the hook that sometimes falls off. If your roof is latched then perhaps it is in the clamshell where a microswitch is triggered at the end of the clamshell travel. That is performed by a metal "foot" coming out and pressing the switch. Search my previous posts about clamshell. Hope it is similar. Hey let me know if you need access to w PIWIS to resolve. Good job on the rebuild.